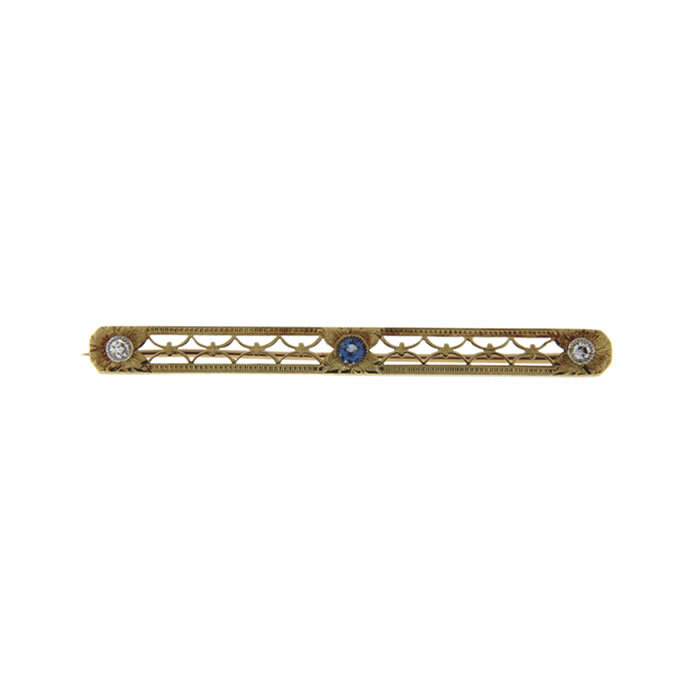 Two old European cut diamonds flank a beautiful cornflower blue sapphire in this Art Deco era bar pin. Each stone is bezel set at the center of a finely detailed flower. 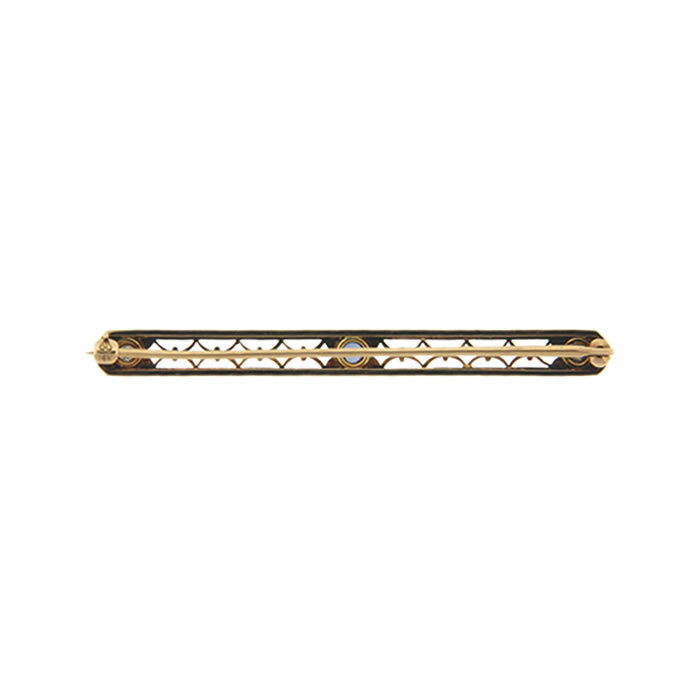 This pin is crafted in 14k yellow gold with a lever and safety catch.